Secure Parking Up to 3hr free parking via Byblos validation. 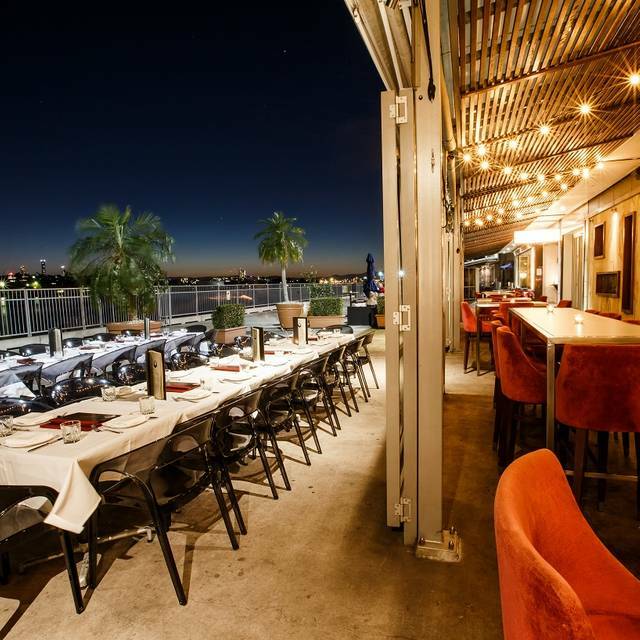 Located in Hamilton on the beautiful Brisbane River, Byblos Bar and Restaurant is the ideal location for quiet dinner, a celebratory cocktail, or a special event. 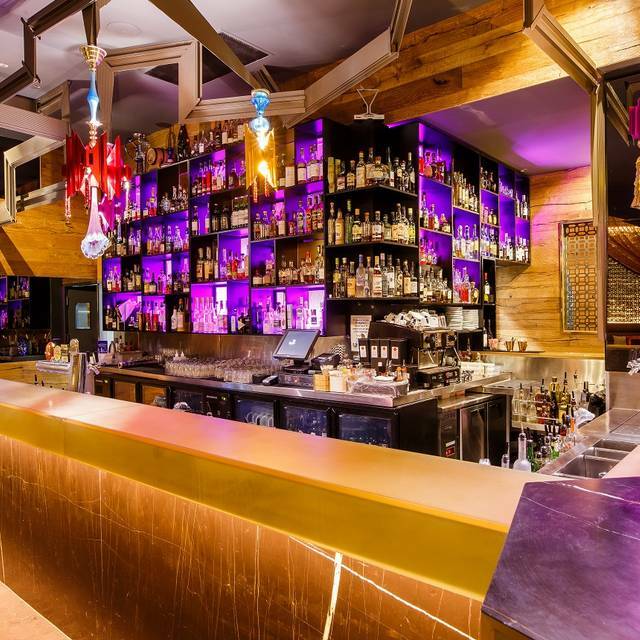 Byblos Bar and Restaurant combines imaginative Mediterranean cuisine with lavish hospitality, luxurious surroundings, and a world-class drink selection. Hey so, we booked Byblos through your site. They called to cancel on me because they had booked it on their local system and ended up double booking me. The implication of course being because I booked through your service, I didn't get to have a valentines dinner (they cancelled day of). Pretty outrageous and also makes your service look awful. I shall start by complementing the outstanding staff with their genuine hospitality and kindness. The food is superb, excellent value for money. The ambient very spacious, with nice lighting and true middle eastern decoration and woods. Love the place! Food was amazing and service was incredible. The table next to us had two mature women who were quite loud. However, putting that aside, there was nothing I could complain about. Will definitely be back. An excellent lunchtime venue and menu, helpful staff, comfortable seating. Byblos Restaurant & Bar is an absolute treasure! I keep going back with more and more friends, share the plates around and experience the best of Lebanese Cuisine. $10 cocktails and I have to add, exquisitely made cocktails too. All the atmosphere and Moreish food leaves you feeling like you've just left a Lebanese family home- both full and.. well- a little drunk haha! We will continue to come back, an amazing experience once again! Great menu options, well priced, helpful staff, delicious dessert mix and overall a lovely atmosphere. Good Labenese/Mediterranean cuisine. Banquet is good value and provides good variety. Dessert dry and lacklustre. Service very slow and unresponsive to requests. However, staff did have good knowledge of cuisine. Careful they may give your booking away!!! When we arrived for our booking we were told they had given our table away to a couple that we're going to a show. And that we could wait. Unfortunately we were also going to the same show so we could not wait. We were then offered a table in the bar area where I was continually nudged in the back by a rowdy Christmas party group. There wasn't even as much of an apology. Not great for romantic dinner. Great food, quality ingredients. Good speedy service. Been to Byblos on 4 occasions over the past 10 years, always great food, consistently beautiful flavours, cooked to perfection. The only negative being the noise- conversational noise seemed to be held in making normal level conversation very difficult. At times couldn't hear one of our guests across the table. Maybe a different ceiling treatment may help?? Had a great night out. Most of our food was delicious. Dips were fantastic. The meat was dry. 2hour dining limit is not a welcoming practice especially when there's a wait involved and they try to send your desert off home as a takeaway. Staff were friendly. Great food, atmosphere and staff! The food were very good and tasty....not very impressed with the service, we waited a while to have our orders taken, but then again it could be short staff on a busy time. Overall we had a good time despite of this and not a deterrent for us to come back. Great food, excellent service, nice touch to have team member greet and confirm without consulting book that you are the first of your party to arrive. Service and food quality has gone downhill over the past few years. We had a platter of different items including fresh dips and a few skewers which were nice however, the main item on the platter were pastries receiving 4 for each person. The pastry was quite dry with limited filling. I ended up removing the inside from most of them and adding them to the dip to give it some moisture. Service was limited. Our waitress disappeared after getting the food and had to go up to counter to pay. Great location and tasty food.. However banquet a little expensive for what you get. We were lucky as there were not many people dining for lunch on a Saturday and it was raining and cold. Meals were quite large and filling. If you have an entre, the main meal is hard to get through. Could not fit in a coffee or desert. Not ultra cheap but good value for money. Clean pleasant settings with plenty of room in between tables. Staff pleasant and not pushy to get us out.